The Galloway School in Friendswood, Texas was the vision of Marie and James H. Galloway of Houston, Texas. Mr. Galloway, a graduate of Texas A & M University, served as Senior Vice President, member of the Board of Directors, and Management Committee during his 43 year career with the Humble Oil and Refining Company and Exxon. 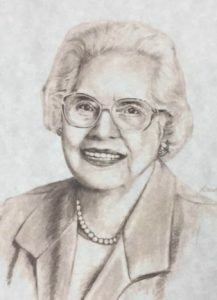 Mrs. Galloway, a graduate from Lutheran College, graduated with a business degree and began working in her hometown of Luling, Texas. She and Mr. Galloway met in Luling, married in Seguin, Texas and began their life together traveling all over the United States and many foreign countries. Mr. and Mrs. Galloway did not have any children, however, they were both extremely supportive of education. They believed very strongly that a good education is essential to one’s success. This was the thinking behind the creation of The Galloway School. The Galloway School opened its doors in 1993 to 19 students in the Clear Lake area. The Galloway’s vision was to provide an accelerated academic program with a caring environment. The current school facility, located at 3200 W. Bay Area Boulevard in Friendswood, Texas, was built in 2005 to accommodate students PK-3 through 8th grade. The school is governed by a Board of Trustees whose job is to ensure the continuation of excellent standards, to administer budgets, and to create an atmosphere where both students and staff work together to achieve academic excellence. Because of our advanced curriculum promoting a world-class, 21st Century Education, The Galloway School has excelled above and beyond all other private schools in both the Clear Lake and Friendswood areas. The Galloway School has been named “The Best Private School in the Bay Area.” The Galloway School continually strives to exceed the high standards the Galloway’s established in the school’s charter. 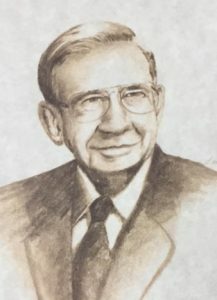 Mr. Galloway passed away just one year before the school opened its doors, but Mrs. Galloway vowed to continue their dream. She is still going strong at 102 years of age. Nothing pleases her more than receiving updates on her beloved school, and nothing makes her smile bigger than hearing a student success story! Here’s to you Mrs. Galloway . . . Go OWLS! 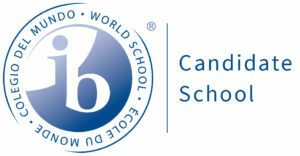 The mission of the Galloway School, the premier private school in academic excellence and character development in the Bay Area, is to maximize students’ intellectual abilities and personal talents as they develop into passionate, dedicated global citizens through a nurturing Christian environment, distinguished by a challenging curriculum and innovative resources ignited by exceptional instruction and supportive families. We believe in the constant pursuit of excellence in education. We believe that a Christian based education, in a culturally diverse and mutually respectful setting, strengthens our community. We believe that education empowers children to maximize their talents and abilities to achieve individual excellence. We believe that global leaders of tomorrow are forged today. We believe that passion and dedication lead to success. We believe that transparency enables education to move beyond school walls. We believe that family involvement is vital to a child’s academic, social and emotional growth. At Galloway, we develop self-reliant students capable of completing assigned tasks in an independent, resourceful and self-sufficient manner. We believe students who are independent and self-reliant typically survive and function better in society than those who are dependent on others for happiness and sustainability. Taking control of basic tasks and life skills will not only help our students stay in control of their own lives, but will ultimately contribute to making them a happier individual. Discussions of bullying and the adverse effects of those individuals on the receiving end. Galloway campus life is immersed in opportunities to practice compassion and empathy throughout each day. These opportunities to teach and reinforce compassion will, over time, result in a student becoming a happy, caring individual with a moral compass that directs them to do the right thing —because it’s the right thing to do. Make judgments and decisions analyzing and evaluating evidence, making arguments, claims and defending beliefs, analyzing and evaluating major alternative points of view, synthesizing and making connections between information and arguments, and interpreting information and drawing conclusions based on best analysis, reflecting critically on learning experiences. Solve problems in conventional and innovative ways. We want our students to be able to identify various points of view that lead to better solutions. The foundational virtue of civility is behavior that recognizes the humanity of others, allowing us to live peacefully together in neighborhoods and communities. The psychological elements of civility include awareness, self-control, empathy, and respect. If we believe that all human beings “are created equal” and have worth, then civility is an obligation to act in ways that honor that belief. It requires us to treat others with decency, regardless of our differences. It demands restraint and an ability to put the interests of the common good above self-interests. Civility is, at its core, the glue that holds a society together.